Cologne : Heinrich Quentell, about 1494. 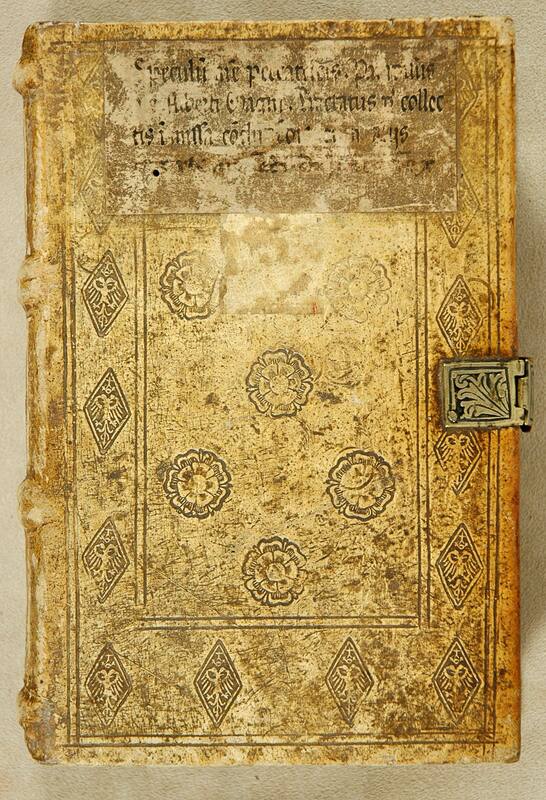 Contemporary Austrian blind-stamped pigskin, bound in Salzburg, with tools assigned to the Benedictine monastery of St. Peter (Salzburg St. Peter IV), EBDB w002790, in the Einbanddatenbank online (consulted on October 27, 2009). From the library of Helmut N. Friedlaender, with his book label.